Boost your game with the value priced Columbia Nitrous. This performance ball combines the predictability of the two-price Nitrous core and joins it with the gripping power of the Boost/R coverstock. This ball is best used on medium to light oiled lanes and is ideal for any bowling skill level or style. Similar Balls: Same Hook Potential, Lane Conditions & Coverstock as the Columbia Nitrous Black/Blue/Bronze. I would buy this ball again. Nitrous - Is a new Green Line product that not only fits your wallet or purse but is also very pleasing to the eye. The new Boost/R cover comes in 4 color variations. I chose the Black/Silver because the color scheme more or less jumped out at me. It has the same bite on the lanes that Columbia owners have come to insist upon. The Nitrous also introduced a new 2-piece core design that offers the same solid hitting power found in C300 balls while also adding predictability throughout the entire lane. This cover/core cohesiveness, along with the very affordable price tag are the reasons you need to pick one up. My Nitrous is drilled with the pin above and between the fingers. This setup permits me to not only use it on lighter house patterns but also on the tougher Kegel Challenge and other lower volume Sport patterns. It is very clean through the front and picks up really well at 40 - 45 feet. Being more of an "up the lane" kinda guy, I have not pushed the limit and try to use it deep inside. I can say however, that as I migrate from outside of the 5 board to about 15, I do not lose any carry. All in all, this ball is a part of my traveling arsenal and feel it complements the pieces that I currently have in my bag. The Nitrous is definitely a bowling bag that you can afford to buy and cannot afford to be without. By Pinslayer from Great Falls Mt. Great benchmark ball. Doesn't do anything unpredictable. Makes it fast and easy to figure out lane pattern. By Susie from Grass Valley, Ca. It is the prettiest ball ...even the guy who drilled my holes complimented me on this ball. Does the 13lb ball have the same weight block as the 14-16lbs? Yes, the 12-16lb Nitrous has the same weight block but the 10 and 11lb Nitrous uses a different weight block. The Motiv Graffiti Tag will be a tad stronger than the Nitrous. I am currently throwing a Track LX16. Pin above and outside of the right finger. Also the my track is just left of the finger holes. 13mph. Will the Columbia be stronger on the back end? Your Track ball will be much more aggressive than this Nitrous for the Track ball is a high performance ball and the Nitrous is only a mid performance ball. I throw a Tropical Breeze 12lb ball. Have minor hook and carry. 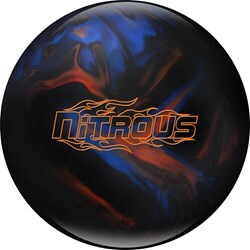 Would the Nitrous 12 lb ball work better for me? The Nitrous will be a little more aggressive than the Tropical Breeze. It should work just fine! On the 10-11lb there is a generic weight block that is used. 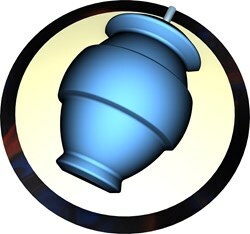 The 12-16lb Columbia uses the Nitrous core. The only difference in performance comes from the different weight blocks. The lighter weight bowling balls have a slightly lower hook rating because of the different weight block but the difference is very small. They still have same coverstock and finish so you would get a similar reaction. 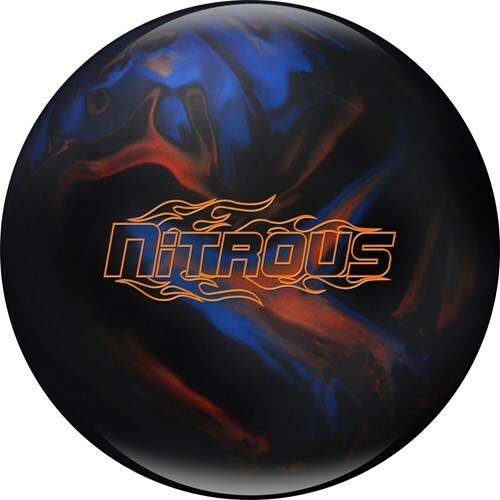 Due to the time it takes to produce the Columbia Nitrous Black/Blue/Bronze ball it will ship in immediately. We cannot ship this ball outside the United States.